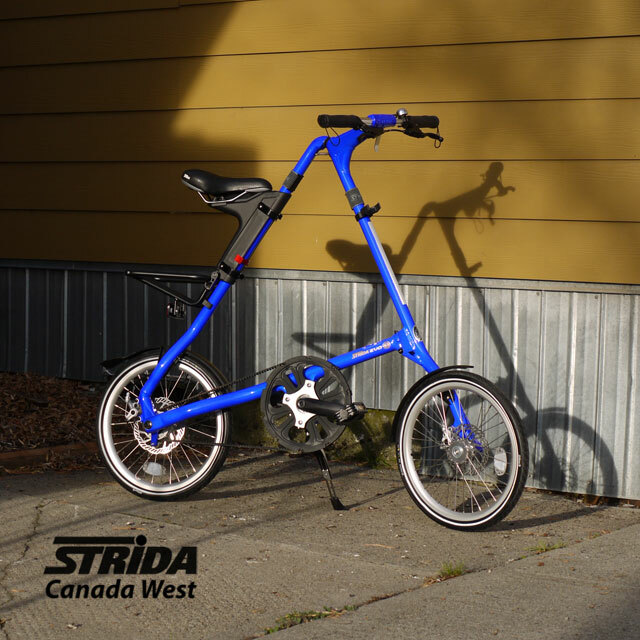 The Strida Blue Man EVO turns heads, this bright blue EVO will brighten up any Strida Fan’s day. 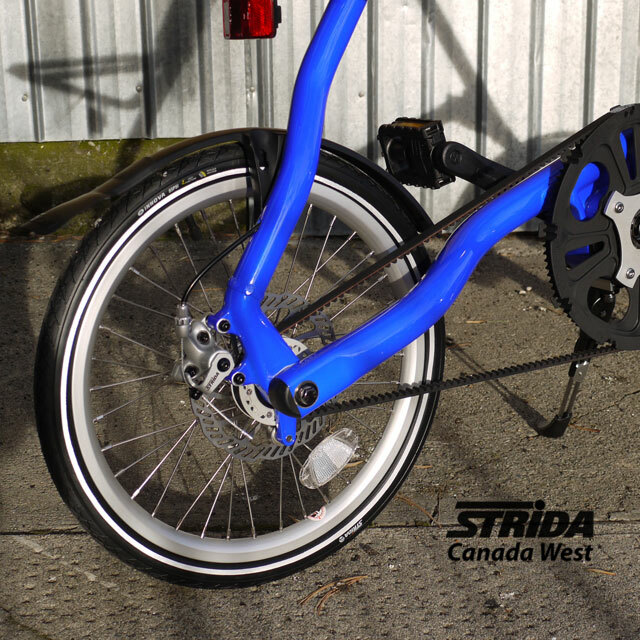 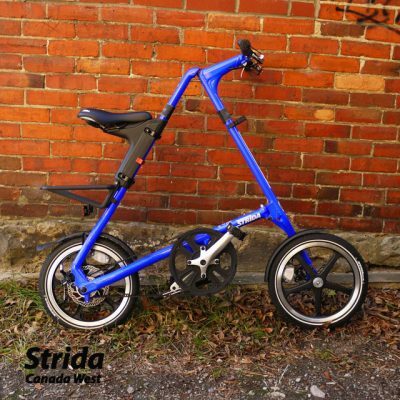 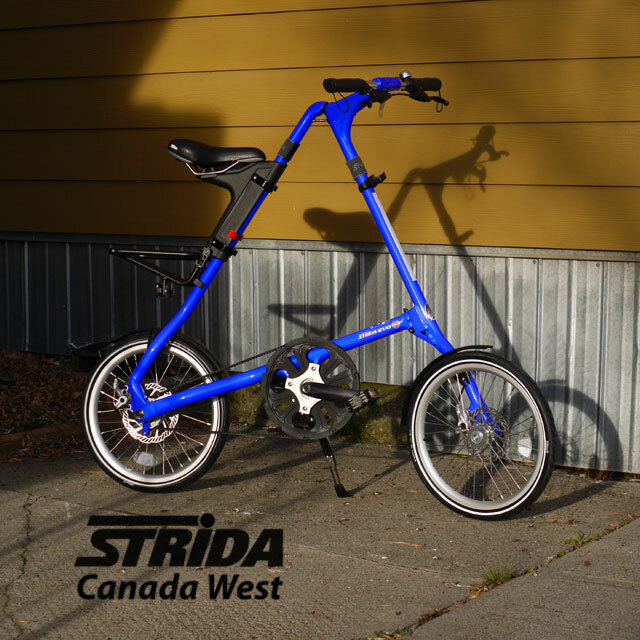 This Strida Blue EVO has standard black 18 inch wheels. 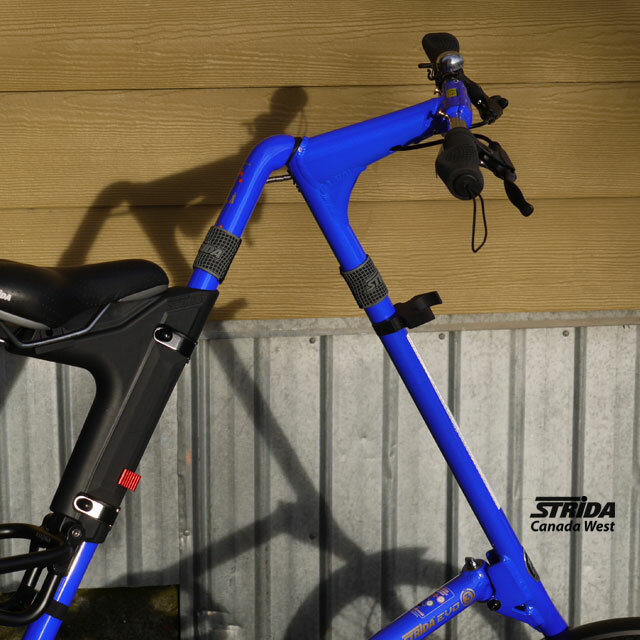 This bike includes a kickstand, quick release seat mount and alloy rear rack. 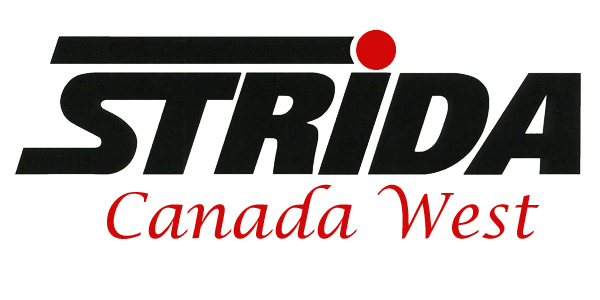 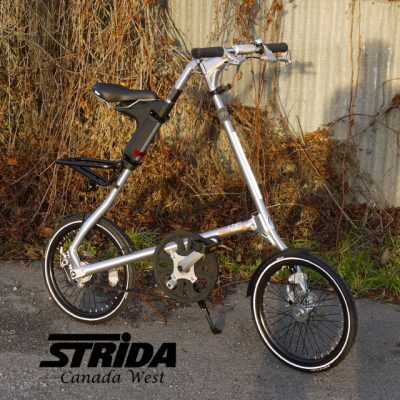 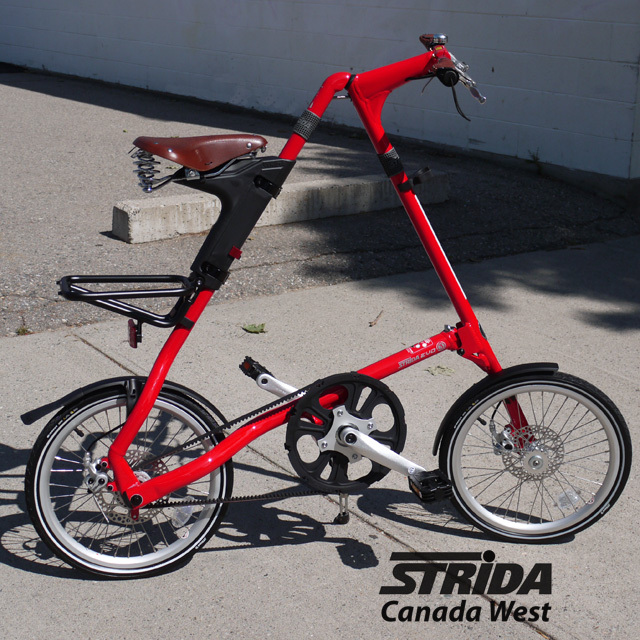 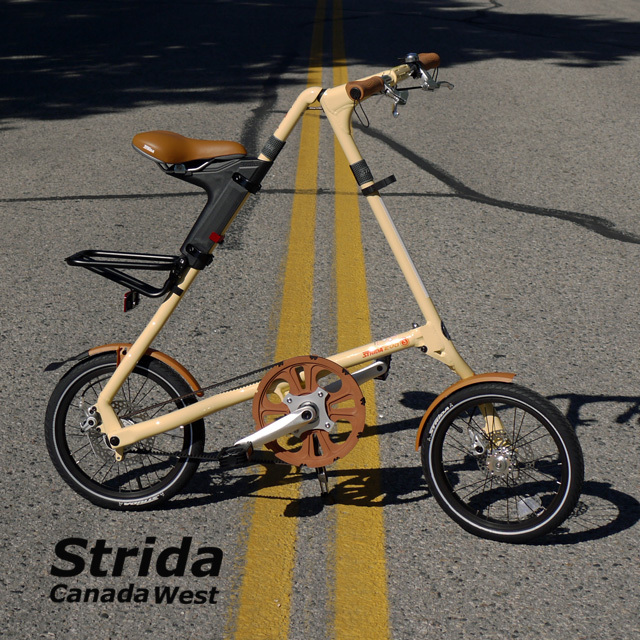 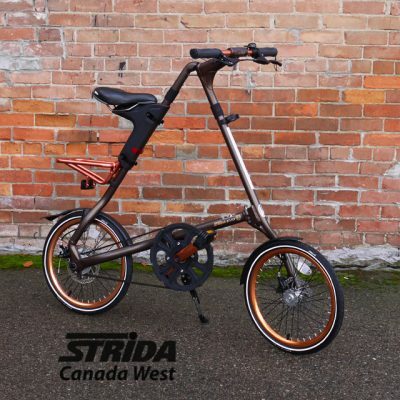 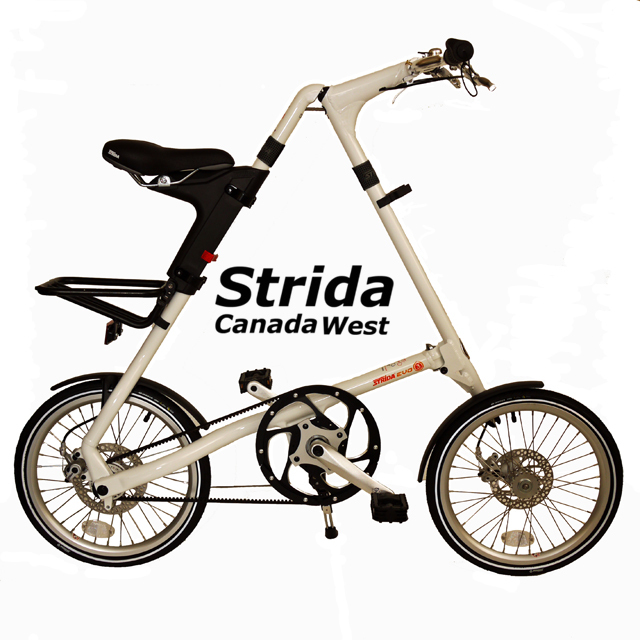 Link to Strida’s web page with EVO details.